Over the last few years, I had read many very positive comments about the work of Audio Origami.Through many years of experience I have learnt not to buy anything based on write ups, however when I took a gamble on buying a Source turntable which came with an Alphason Xenon arm, my first thought on getting it home were to contact Johnnie at Audio Origami and find out about a rewire. Having had a really helpful chat, I ordered Kondo internal wiring and cartridge tags, and the decided that as I had an pair of Audio Note ANv interconnects, could these be used as the external cable? This was no problem and within a few week the rewired arm returned, he had also made me a finger lift and new anti skate weight. But it is not only the quality of the work that amazes you, but his level of customer service is something to behold, nothing is too much trouble, no question too stupid (and some of mine, may well have been).I subsequently bought a Technics SP10, and without hesitation I called Johnnie to talk through a 12” PU7, once more the attention to detail and passionate customer service. When my arm arrived it looked absolutely fantastic, the brass arm blending in with the Iroko hardwood plinth I had made for the SP10, and was spot on for the Audio Note Io1 cartridge which I had the arm matched to.If you are thinking about tone arms think Audio Origami! “I found audio origami casually in the web and I really surprised of the Johnnie’s works. 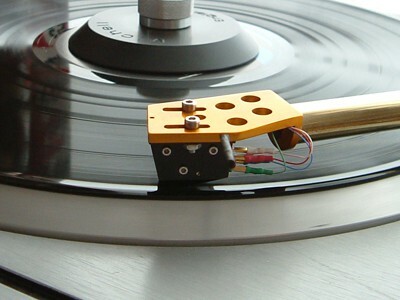 I sent my rega RB300 for a complete upgrade: internal and external rewiring with cardas connector 5 pin din, rear end stub and counterweight, polishing of the tonearm..Well, my Grado Signature wood now sounds wonderful; I never heard sound my vinyl’s so good. Johnnie is a great artist. In the next future I’ll sent to Johnnie a Rega RB250 for another wonderful upgrade. The black beauty has arrived today. This is a stunning arm far and way better than my best expectation. Your pics didn’t give it justice.This is the finest present I ever received from a friend. None friend of mine has never made as much as you for me. I’m proud to own a masterpiece of yours. I want do my best to help you by CNC software if you need it again.I reserved to you all my free time now. Your behaviour confirms me you are a great just man, deserving full confidence. Excuse me if I was diffident but, living in Italy, I learned to be very cautious and suspicious. Unfortunately, cheats are everywhere in my country… and I’m not used to know fair men as you. Thank you very much again for your FANTASTIC WORK!!! Hi John,Early indications on the sound: BRILLIANT…!! !I had no idea any arm could sound so good. In the past I have used an Incognito rewired RB300 which I thought was quite good: but this arm leaves it dead in the water.I haven’t listened to it a great deal yet, but I have heard enough to realise just how good it is.Every aspect of the sound is improved dramatically, from the bass all the way though the mid-band to high treble. I have genuinely heard things on records I have NEVER heard before.What is really amazing is that the difference is noticeable as soon as the stylus hits the groove, even before the music starts. It is difficult to describe why this is the case, but it most definitely is. I think there is an inky blackness and a solidity of nothingness that was never there before. When it starts the music just comes from nothing. There is no vinyl roar or swooshing… just nothing…and then the music starts.I have been using my Benz Micro Ace cartridge and I had no idea it could be so good.Previously it was OK, but a bit on the ‘warm’ side with a ‘full’, and I think slightly bloated bass; it also seemed to lack some sparkle at the top end.In this arm, however, it is totally transformed. The bass is amazing (people who think a Sugden A21 doesn’t do proper bass, should hear this), the mid-band is still warm, but now with tons of detail and the treble is really smooth, but also with levels of detail hitherto lost to me. Some records sound surprisingly different with all these levels of added detail.What have I been missing all these years? So far I have only tried the arm with the ‘decoupled’ weight. I will try it with the others to see what difference(s) they make. So these are my first impressions. I shall listen further and let you know how my listening experiences progress: and I’ll then send you the photos of the arm mounted on the Spacedeck. Had a good listen to the arm and set up the thorens properly sounds good suited to jazz, acoustic best I think not very convincing with rock. Would that be right don’t think the ortofon is suited though as a mc would be better with mm as its a high compliance arm is that right. thinking about rewiring rega next what rewire options are their cardgas I know but how’s that with rock? have noticed vocals sound really good with mayware. Anyway anuff waffling see you soon. You quoted a very small amount for repair – any chance I can get some cartridge nuts & bolts + an alignment protractor please? Many many many thanks for all your work on the arm, I shall let it be known that you are THE man for repairing / rewiring tonearms! Thanks again , I’m very grateful , James. The arm arrived at 9.30 AM Tuesday and it looks superb. Didn’t get time to fit on TT till last night, it is the first time I have fitted a cartridge and it went ok. One query I have is why must the cartridge be aligned with the bias set to 0 ? I am very pleased with the sound, the soundstage is much wider and the bass is cleaner. Have you decided which CNC machine to buy? Thank you for all your hard work it is much appreciated. Just saw the deck, superb arm and plinth. Damn, the sh1t’s well hot. Give yaself a pat on the back boyeeee. Okay, pistols @ dawn. I just done these speaker, Tannoy 2528 driver now paper coned by Speaker Dave in Hornchurch, Essex. Original cabinet now has 3/4 inch of oak bonded and doweled so now the sucker is dead and heavy. Babies sound killer now. Tannoys with more speed & less boom. Just gotta tweak up those classic’s me. Arm arrived safely today. I have set it up on the deck, done all the checks and adjustments and the arm is in fine working order with a lovely light smell of oil. Tested the arm out with a lovely 180g copy of ‘closing time’ by Tom Waits. My sincere thanks for helping me out – I look forward to many years of listening. I will sing your praises from the rooftops to anyone that will listen! From your email last night it is clear to see that you have a passion for this kind of work – lucky you! Few people get to do something they really enjoy. A nice insight into your training too. Anyway, perhaps I will require your services in future – I hope to get hold of an LP12 at some point and will no doubt have a long list of questions and associated problems. 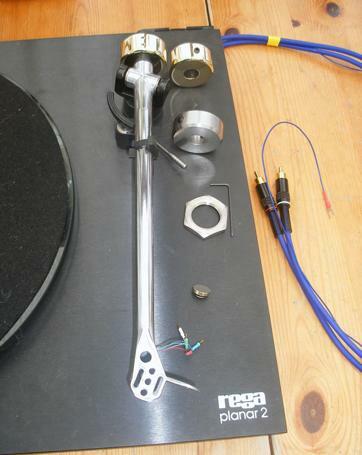 In the meantime take care and the best of luck with your new Tone arm design. Finally fitted the arm (needed to make a new arm board – waiting for the paint to dry). Good to have it back in action – looking good and sounding good. Thanks again for the speedy turnaround. Many thanks for the speedy work and return.. really 1st class.. all seems better; synergy between channels (as id expect) -plus refinement, ‘rightness’ and you can just sitting soak up the music- it almost sounds like a fresh arm! Ill post a thread on Pfm tmrw for you, as that was a very professional job. Just to let you know ,I changed the oil (Changed it! there wasn’t any oil in it !!!) and I don’t know If Its just my Imagination, but it does sound sweeter, anyhow its got to have improved it giving it some lubrication. Hi John. After spending quite some time tuning the suspension and adjusting the arm and cart I’ve decided that it’s as close to “perfect” as it’s gonna get for now. 🙂 These old suspended decks sure aren’t the easiest of beasts to tame… I must say that I was quite impressed with the quick turnaround, one week from I delivered it at the post office until it was back with me. So how does it sound? A whole lot better than before that’s for sure! The bass got rid of it’s one-note effect. The treble is both more laid back and detailed at the same time. The soundstage has also gotten better with more depth. Overall everything is better but the most important thing is that everything flows more naturally and musically as a whole. So as you can see I’m quite satisfied. 🙂 Unfortunately my Ortofon VMS30MkII cart has just bottomed out on me prematurely. I guess that’s the risk you take when buying a 20 year old New Old Stock cartridge. Fortunately I ordered a spare original stylus so I’m in the process of breaking it in and it already sounds very good 🙂 (listening to Suzanne Vega – “Solitude Standing” at the moment). Before I had the arm rewired I used to run the Ortofon at 0.75g (recommended is 1.3g!) because it made the sound more lively. With the recommended force it sounded dead and boring. With the Cardas that is no longer a problem. That’s all from me now, might get back to you some time in the future regarding one of those brass rear weights. Enjoy the spring! Best Regards. Kim. Hi johnnie Well it arrived with 7 minutes to spare. (royal mail next day before 1pm) after a lot of faffing on getting the angle right it works and wonderfully. I don’t think I told but I purchased a goldring 1042 cartridge from tony scott( the first new cartridge I have ever bought) I have some omni-directional sonab speakers ( with three inward facing tweeters!) in the sitting room and they sound brilliant. many thanks for all your help and assistance the cheque will be posted today Hope the cold is/gets better soon. Hi Johnnie, Received the oil kits, and changed the oil in my ariston rd 80 immediately. At the same time I renewed the drive belt…wow, the improvements are awesome, its now giving my linn a run for its money, yet cost a fraction of the price. Can’t thank you enough, I’m beginning to think I need to do some downgrading and THEN do some tweaking, using your great service. Hi Johnnie, I got the arm, and the silicon thanks! Arm is quiet, thanks so much for that, it sounds great now. How do I put the silicon in, where do I put it, and how much do I use? I haven’t compared the cables yet, but as soon as I have I will send one back. I’m afraid I’m not on any hi-fi forums – too old and not that passionate, but I wanted to give you feedback. Your advice was spot on and your help much appreciated. I am attaching a photo of the repaired deck which is working perfectly. 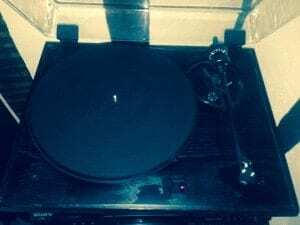 It used to have a switch which gave a choice of 33 or 45 rpm but I was perfectly happy to do a repair which gave me only 33 rpm. The repair, using the Linn pcb is very easy. The new pcb fits in much the same area as the old one and the leads go straight in, black lead of the three to the motor goes in one of the grey sockets. The layout of the board is the same as the original so no problms with location of leads or switch cable. The only sign of the change is that the three button switch is replaced with a single switch and I had to cut a slightly larger hole underneath for the slightly larger pcb – less than 1cm longer but its very easy to do. So for just over £100 I have a great deck, working perfectly. A real delight. It’s your fault that I bought this! What am I supposed to do now with all the so-called “studio masters” or CD quality downloads ? With my new Linn LP12 (+ Sole VII, Audio Origami PU7, and vdH Condor) as they would say in France “il n’y a pas de photo” ! And the funniest thing is that the MC phono stage of my DarTZeel amplifier is, by far, not burned-in yet and the same applies to the PU7 I guess. 1. Brahms third symphony (Reiner, Chicago, RCA) on LP (original pressing, bought second hand) is just in another sonic dimension compared to the download. It is simply pointless to tell why. I go to a live concert every other week if you see what I mean. 2. Shostakovich 5th Symphony (Bernstein, New York, CBS) sounds as great as the download but much more “real” and with no congestion. 3. Things don’t improve when playing high resolution files. With my upgraded Linn I can listen at a much higher volume with no fatigue, no congestions, nothing but music. When I just compare records before and after my upgrade I have to rely on my emotions more than on my memory. Well, in Eric Clapton’s Just one night, I have never heard the guitars sounding so “liquid”. In Genesis “Seconds out” (not the best recording I possess) the drums at the end of the concert are precise, fast and deep as ever. And I could continue endless with similar descriptions. The other side of the coin is that I am rediscovering my LP’s collection and it is a lot of fun. John & J7, thank you for your great support and after-sale service. 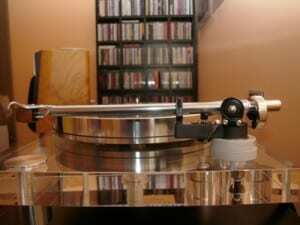 I am just counting down the minutes to come back one day to Wales to have my Linn serviced again. And, who knows, maybe I should find some time to come to Scotland as well …. ? 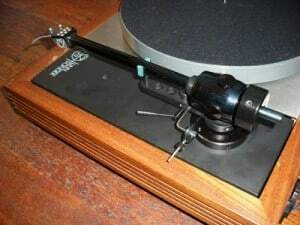 I was told to contact you in regards to my looking for a counterweight to fit my Profile tonearm from a original Systemdek IIX. The kind people at audio note told me that you might have some ties with the manufacturer or that you would know where I could possibly have a weight made, or find a compatible one. The above thread contains a bunch of pictures of my exact arm, and what the counterweight should look like. Let me know if you have one that will fit, or if you know where I can order one. can u send me the arm or mesure the rear stub diameter ? Just a huge thank you for the fantastic customer service I received when you came to the flat to set up my Avid Acutus SME v . I learned more about turntables, arms ,setup and vinyl than I have in the last twenty years. Fantastic value and so very,very helpful . System sounding so much better now . Thanks again. I should say from the outset, it is very unusual for me to give feedback but you have given me such good service, I feel an obligation to tell others! It all started over a year ago when I acquired an elderly Linn LP12 and decided to restore it. The turntable was in a bad way and there were some serious issues such as a seized bearing and missing parts so I started by doing some research on the internet. Almost immediately it became clear that there was plenty of good and bad advice along with an extraordinary amount of “mythology” and nonsense. I have a background in engineering and I’m happy to accept this turntable needs care in its set up but it is, by no means, impossible. With time, care and common sense a quality set-up can be achieved by “amateurs”. Having ordered the most of the parts I needed from you (at very reasonable prices) I started the job but had to put the whole thing to one side due to a family crisis. Picking up again where I left off, we recently had a couple of Skype conversations. The job is now complete and the turntable is working well. I am grateful for your help and advice and I hope you continue to provide the same excellent service to future customers. Thank you for the internal rewire of my Linn Basik LV X Tone arm, it now sounds great, you did say it would benefit from a internal rewire and it certainly does, also thank you for all the useful information that you gave me. I would highly recommend anybody who has one of these tone arms to get in touch with you to arrange a rewire. thanks for the brilliant work on the Ittok require & new cable. The result is brilliant. Also, many thanks for all your help & advice plus the hospitality, brew & ‘tunes’. on the process that is used to carry out the work. to have so many submissions from a customer base is amazing. Just leaving feedback about the great work you did on my Manticore Musician arm. Thanks for putting up with all my questions! .It is really good to find someone who listens and the level of service is incredible. The arm sounds so much smoother than the rb250.Will be ordering the external cable asap! 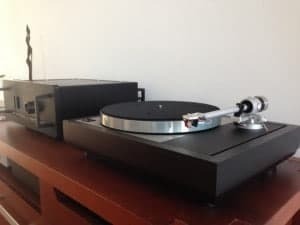 He was recommended to me from John Roberts at Midland AudioXchange when I asked about a Rega tone arm re -wire, I got in touch and spoke on the phone about possibilities. within a few day’s he started the job and recommend a ikeda(silver) internal re wire with the cardas gold cartridge tags( this will work with the cartridge with gold mail connectors that I had ) The external cable I asked Johnnie to have Swiss Lemo XLR on the Phono end as this was going to connect a Gryphon Legato Phono stage he said “No Problem !” He also recommended the Van Dam cable for to use OFC silver plated ! He also included the vertical bearing GODLIKE ADJUSTMENT for free !! All this done in a matter of 3 days and that includes delivery FANTASTIC HIGHLY RECOMMENDED. I will post again when set up over the next week (awaiting speaker cable !) to comment on the sound……..
OK Thaysen fine I will measure my own soon and share my results. One day I took an old LP12 to Johnnie, i wanted to gradually upgrade with new and used parts which would eventually match Linn’s SE model. I went to j7 because he is a perfectionist with every job, big or small. Well four visits to j7 later almost every part has been replaced and its actually better imo than the SE as it has a PU7 on top. Forever indebted to you for your helpfulness, advice and patience 😉 I can say without a doubt I would never have reached this level of enjoyment without your assistance (or a second mortgage hehe) Thanks M8. Just got my Ittok back from j7. Silver wired and new tags. First impressions. Notes hang on longer, vocals have more emotion and nuance and the music is added to in a not insubstantial way. I’ll be doing more listening later today and I’ll comment further. Thanks also to the guys at Loud and Clear for their unique take on customer service. ( sic ). I found out about Audioorigami through a trusted friend who is a co-founder of Vertex AQ, and who used to work for Roksan some time ago. I have an early Roksan Xerxes T/T fitted with an Artemiz tonearm and Koetsu Black M/C cartridge with a Michell M/C Step-up/Power supply. The Artemiz arm was sent to Johnnie (Nilsen) at Audioorigami and over a short course of time, we built up an excellent relationship during which he shared many tricks of the Trade. Nothing was too much trouble for him, and we had a few gentle chuckles (at my expense) along the way. The analogue set-up now sounds wonderful and is a tribute to Johnnie’s expertise. One word of warning: Johnnie is a professional! One should not attempt (as I did, and failed) to re-wire/solder tonearms yourself. The Cardas wires used for the re-wiring are expensive and very fiddly to handle as well as solder to the (Cardas) DNIM plug used in the Artemiz. Leave it to Johnnie. He has the correct kit and knows EXACTLY what he is doing. Hats off to him! Albie Santos here again (See earlier post of January 26, 2016 at 5:44 pm). Sorry, but I should have said that the re-wiring was carried out with Ikeda silver wire (NOT Cardas wire) and Cardas Gold cartridge tags (with sleeving). My mistake! I first met Johnnie a couple of years back when he sorted out my systemdek III 900 for me after i managed to totally bugger up the suspension, trying to play an ep for my daughter (she thought it was an lp when she bought it). A few twiddles and tweaks later, while he chatted away over his shoulder about all things analogue, and the job was done. When I got home: my deck had never sounded better. I was using an RB300 with tungsten counterweight at the time and shortly thereafter had j7 do a full inner and outer Cardas rewire. Great job and big improvement. This was the first change in my set up for almost 20 years and I was getting itchy again. My first purchase was a Linn LP12 (mid 80s, Valhalla), which j7 set up and installed a gold Valhalla upgrade. This was followed by a used Ittok with full AO wiring, the Systemdek having been moved on to a friend. I was still using the same 10×5 I had on the Systemdek. Recently I found a lovely old Source which I got back from j7 last night. (Trusty RB300 and 10×5 fitted), all set up and balanced and sounding lovely. Decided I am now one music room short! Johnnie has been very helpful and an all round great guy during my upgrade process and reintroduction to hifi, never pushing me to spend more than I need and doing great work for an even better price. When I first started looking for hifi answers and kept coming across ‘j7’ wherever I went, I thought: “he sounds like a handy bloke to know”. He could have been anywhere in the world-turns out we live in the same town! Haven’t used vinyl for decades but recently needed to renovate some long-idle equipment (LP12 + TD/124 + SME arms). I was rather lucky to find Johnnie; my technical ignorance didn’t impede a friendly but professional experience, at very reasonable cost. Unequivocally recommended, whatever your expertise or budget. Thanks Johnny for helping me sort out what do with the damaged Datum arm on my Logic Tempo turntable. Sorted me out with an RB202 as a replacement and some bearing oil and alignment protractor and so renovate everything. Thanks for you patience, detailed helped all working within my budget.. Having a fantastic time playing my vinyl now! Bought the oil kit weeks ago to give me something to look forward to once I could get mobile after surgery. Finally got round to replacing it in my LP12 tonight. Well overdue it was too. After an hour of meticulous cleaning, refilling and settling I sat back to check it was all ok.
Got to say I wasn’t expecting the improvement in pace and mid range that I could hear. So the oil kit is a great purchase, particularly when there’s enough for the next refill as well. I contacted johnny, honestly not sure where i got his details, but i was end of my tether. My Planar 3 from the early 90’s had been serviced, 24v motor, new cart, and I was in love with vinyl again. However i was subjected to very annoying hum, making it virtually impossible to listen through headphones. i tried everything, having read lots and lots. Isolated that it wasn’t a ground loop, mains conditioner, positioning, everything written everywhere! But still the hum remained, in my head i was convinced it was the rca cable breaking down as the hum changed tone when i touched the cable. I decided a re-wire and seperate earth was the solution but heard mixed reports. Although fairly savvy I also didn’t fancy my chances of completing the job from a kit without causing damage. An email conversation with Johnny confirmed my suspicions. Never pushy, never ‘salesy’ he just gave me good helpful advice, and like mentioned elsewhere no question was too stupid. So I decided on an internal and external rewire of my trusty RB300. He even lets you book in advance so you are not without music for too long. His excellent customer serice continued, he rang me whilst working on my arm to query my request and again could easily have ‘sold’ me a new arm cue but just explained to me how to raise and lower. With that confirmed he told me it would be in the post the same day. Sure enough it arrived 2 days later (even though I’m on the isle of man). I had visitors over TT so spent a week just staring at this thing of beauty that had returned. Tonight I fitted it back on and wow………………… that was 3 hours ago, I have been spinning my favourite vinyl and marvelling at the sound quality. Even with a brand new cart in, that will need running in it is already miles and miles better. Detail, depth, soundstage, clarity. Cannot wait for the cart to bed in. But even as it is now – the best i have heard my RP3 sing. And of course the hum completely gone. I have to say as well when Johnny provided the price list I was convinced it was kit price but they are fitted prices and the workmanship is top notch a proper craftsman. I will use Johnny again if i ever upgrade, but due to his work and how my RP3 sounds I fear that will be a long time away – sorry! Fully recommended thanks for your work, service and advice. Purchased the oil kit a while ago to replace the oil that I used for my SME 10A and the difference was amazing, freer rotation and even quieter than originally. Have also used the oil on my Micro Seiki DQX-1000 and what a difference, great stuff. Really excellent service from Johnny in cleaning up my Linn Karma cartridge and taking some micro photographs to show the before and after effects of his clean. 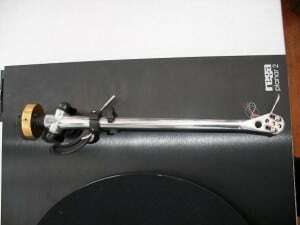 Anyone looking to upgrade, rebuild, rewire, or clean up their tone arm should call Johnny as their first port of call. Any advice of how to make your deck or arm sound or perform better should be taken as Johnny is to be fully trusted and can not be recommended enough. I have recently received my Linn Ekos back after Johnnie repaired and serviced it. The results are superb and I’m delighted with it, also a quick turnaround and extremely reasonable price, highly recommended to all! Just had a Tangerine Audio Stiletto in fluted black and Plateau fitted by Johnnie. Listening results are excellent. My reaction to John was ” This thing is nuts”. Music just pours out of it. Notes are longer,sharper attack and longer sustain. Vocals are pin sharp,tuneful and emotional. Big thanks,again,to Johnnie and to the guys at Tangerine Audio for all their help. Maybe Santa’ll bring me a PU7 to make me really happy. Black please Ajax if you’re reading this. Just to say cant remember if I ever left any feedback when you sorted the bearings in my Linn Akito mk 1 arm and upgraded the wiring. well it plays and sounds bloody great . Big thanks for the lovely work you did for me on my Syrinx PU2, tracks well and sounds absolutely gorgeous .Many thanks so being patient and helping me , anyway thank you so much and will be coming back again soon . 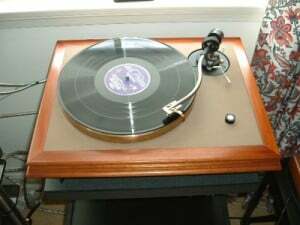 I have just changed from Linn black oil dating back to a Cirkus upgrade many years ago. The bearing was not dry but the oil was low. I listened to the three tracks listed at the end before the change then in reverse order after the change. In spite of reading the reviews I really wasn’t expecting to hear a noticeable difference even knowing that my kit is capable of showing small changes. Within 3 seconds of hearing the Ricky Lee Jones track I realised that this was a definite upgrade, better defined soundstage with more space between instruments, smoother more detailed voice and more musical. This was also true for the Cream track, but it was the Bach track that truly astonished me. I had been looking forward to hearing this double LP and was so disappointed that I just couldn’t get into it. After the change I could relate to it totally and marvel at how beautiful it is. These results are absolutely beyond all expectation even knowing that the main bearing is perhaps the most critical interface in the deck. I sent my rega RB300 for a complete upgrade internal and external rewiring , polishing of the tonearm.. The sounds is great and wonderful!! I never heard sound my vinyl’s so good. Johnnie is a great and professional artist. 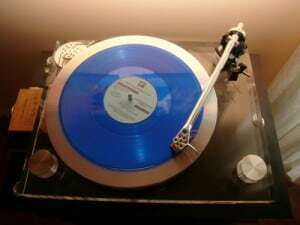 In the next future I would like buy a Rega RB250 for another wonderful upgrade. This is the state of the art in a tonearm for my opinion from Italy. Thanks you very very much!! I will be coming back again soon . Very impressed with the product ,the service and the customer care provided by Jonnie.The external re wire is just what I have been looking for. I had spoken to many other providers whoes indifference was staggering. Jonnie stood out as an entheusiastic professional so he got the business and I would not hesitate to use his services again and to recommend him. Just to let everyone know what a great job you did for my LP12. Lingo 4 and Skorpion baseplate fitted and the deck sounding fantastic. Thank you very much Johnnie for the amazing and wonderful job you did on my Rega RB250. Complete upgrade, polishing, and internal and external rewiring, when I receive the arm and open, I can’t believe what my eyes see, is not possible, OMG, my old arm comes completely new. Thanks again and keep going your superb work, a real pride in the audio in the UK. I love the work you done on my Linn Akito tonearm. I can’t believe how smooth the arm operates. The turntable has never sounded this great. Thanks a lot. Rewire SME 3009 series 3 wand, the difference in sound quality is absolutely amazing, ultra fast turnaround and invaluable advice given by the affable and approachable Johnnie, cannot recommend highly enough. Hi J7, SME arm arrived back today after a rewire and a superb job has been done. Fast turnaround and good communications through out the process. Very happy bunny this end and thoroughly recommend the service. Outstanding service. This is the second time I have used A.O. – first time was for a repair, this one was a purchase – and I simply could not be more pleased. Thanks again, J7. Jan in Amsterdam. I say that the service you provide and the quality of the work that you do is outstanding and although I thanked you at the time , thank you again. Thanks very much for the very quick manufacture of some shims to shim up my Roksan Tabriz Ti arm. Certainly saved me sometime. Get thm fitted at the week end . Thanks for your speedy and high quality work on my pet predated RB300. It looks awesome and I cannot wait for our new Gyro SE currently being built by Michell to be delivered to hear what it sounds like. Hope your digital microscope is behaving now. Thanks again for your excellent service. It’s very refreshing to someone who is rapidly (or do I mean rabidly?) turning into a grumpy old cynic by modern standards of product and service. Note for potential customers: buy one of Johnnie’s excellent boxes for transport – I couldn’t believe the state it arrived back in after 3 trips between Berkshire and Glasgow (well beaten up, but everything safe and sound inside). Next job – what can you do to an SME 310 for me? Johnnie isn’t just the supreme expert in what he does. He is also a very friendly guy and a great asset to the vinyl audio world.